﻿﻿Wuhan GeneCreate Biological Engineering Co., Ltd.
Wuhan GeneCreate Biological Engineering Co., Ltd.
Wuhan GeneCreate Biological Engineering Co., Ltd. (hereinafter referred to as GeneCreate) is established in the July of 2013. 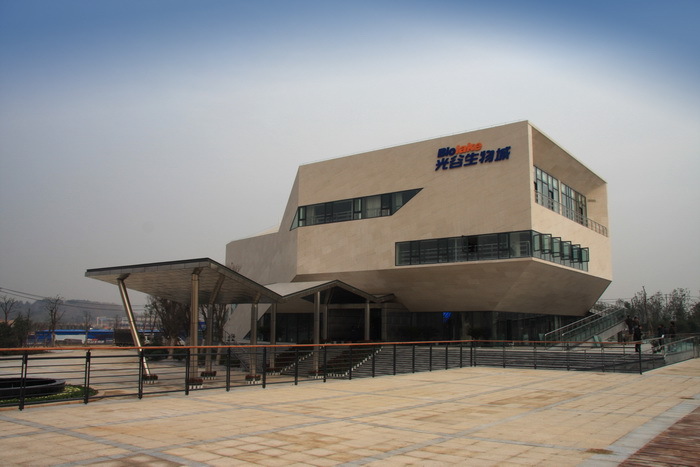 Located in the building 4 of Biological Innovation Park in Wuhan National Bio-industry Base, GeneCreate has engaged in providing biological technical service for global customers. GeneCreate has a development workshop of 2000 square meters. With more than 50 professional and technical personnel, our company has expanded its business line to primer synthesis, gene synthesis, the five system recombinant protein expression (escheria coli, bacillus subtilis, yeast, insect cell and mammalian cell), monoclonal and polyclonal antibody preparation, small molecule antigen synthesis, immunology testing services (ELISA,WB,IHC,ICC,IP), diagnostic kit development, drug screening service and proteomics service （iTRAQ、lable-free、SWATH）. Our service covers the major areas of life science research and GeneCreate is aiming at doing its best to provide service for the world's large pharmaceutical companies, diagnostic products corporations, scientific research reagents development companies, university research institutes and hospital clinical departments etc. Gene synthesis is our main business. Professor Ma lixin, the vice-president of Life Sciences Institute in Hubei University, who has studied in genetic and protein engineering for decades, has been appointed as the technical director of GeneCreate. We adopt the non-primer technology. It breaks through the traditional idea and method of gene synthesis but avoids its shortcomings and deficiencies so as to get lower cost, high productivity and speedy synthesis. With the non-primer technology, we could do both of the simple gene synthesis and difficult genes of high GC, repeated sequences and poly structures that cannot be synthesized by conventional technologies. GeneCreate is the first company in China to provide SWATH Commercial services. In the year of 2013, GeneCreate has applied the world's most advanced ABI5600 plus mass spectrometry platform. It has built a professional technical team by several managers who have rich experience in high-throughput proteomic mass spectrometry experiments and data analysis. At present, GeneCreate has already finished some commercial protein projects of iTRAQ、SWATH, proteomic analysis of phosphorylation successfully. Our services are highly regarded by customers due to GeneCreate’s rapid response in the market, its professional technical support and excellent data results during the service. GeneCreate attaches great importance to the service quality and technical levels of team personnel. Now all the platform leaders have an education background of master degree or doctoral degree and they also have many years’ experience in biotech industry. Under a service concept of customer focus, we optimize the technology platform and control the quality actively and instantly. Directing marketing and distribution are the marketing operation strategies of GeneCreate. In the domestic market, GeneCreate has expanded its business to ten provinces by direct sales. In the oversea market, GeneCreate has also set up its distributions. We have good experience in big projects cooperation with our customers based on professional technologies and effective communications. Due to the improved basic research levels of biology in the global universities, academies and colleges of medicine, the experiment service outsourcing market will be increasing constantly. As a supplier who can provide comprehensive service for biotechnology and medical health diagnosis, GeneCreate will always insist on improving its platform optimizations and one-stop service to be a first-class biotechnology and medical service provider in the world.